I am happy today, and you know why? Its cause I get to finish watching and reviewing Most Haunted! ITS THE LAST EPISODE PEOPLE!! Really’s terrifying series concludes at Capesthorne Hall in Cheshire as for the first time in Most Haunted history a vigil is shown in its entirety. Visitors and residents have reported seeing disembodied limbs floating across rooms, dark shadows lurking in corridors, poltergeists lying in wait to surprise passers-by, and have witnessed books being thrown off shelves. With such a range of unusual activity, the team are in for some big surprises. Stuart ventures to the upstairs quarters alone, only to experience some of the most extreme paranormal activity seen during this series and when Karl later ventures upstairs his discoveries are enough to rattle the strongest of sceptics. In this dramatic final episode, the team makes some extraordinary discoveries that are not to be missed. This weeks desperate attempt to boost flagging tourism is Capesthorne Hall. And we are promised Poltergeists, ghostly voices (hopefully made with their mouths) and all manner of spiritual shenanigans! 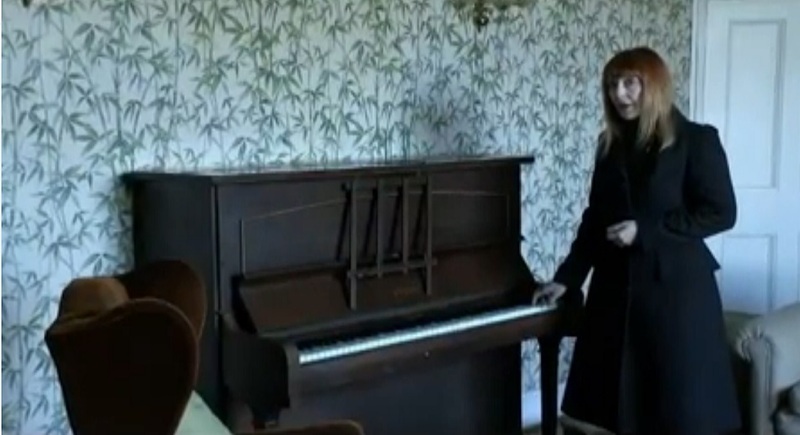 We start off with Yvette creepily playing the piano and telling us that the ghosties really don't like it! You know what I really don't like? That god awful wallpaper! Seriously guys surely they can find something better than that. This weeks "opinion piece" by someone blatantly with a vested interest comes from this delight of a woman. Kath Jefferies a wedding and events co-ordinator for Capesthorne Hall. As she spins her lies, sorry I mean interesting stories, she does have a hint of guilt on her face. I can only imagine the smirk that Glen is giving right now listening to this woman. Fred Batt and his money get to give a little speech to camera too. He tells us that there has been a lot of human sacrifice at the location, lets hope they try and recreate that perhaps with Stuart? And apparently this place has ghostly body parts that haunt the place! Yep a floating arm and decapitated head that haunt the place. Ok I am gonna post a picture now of resident "Skeptic"Glen Hunt, now before you scroll down, I want you to predict what he is doing. Ok you can scroll down now. If you guessed that he was smirking with his hands in his pockets, then please award yourself 10 "Acorah Points" for displaying genuine psychic abilities. DISCLAIMER: Acorah Points have no cash value, and cannot be exchanged. They can only be used on psychic evenings/events when Derek Acorah is present. 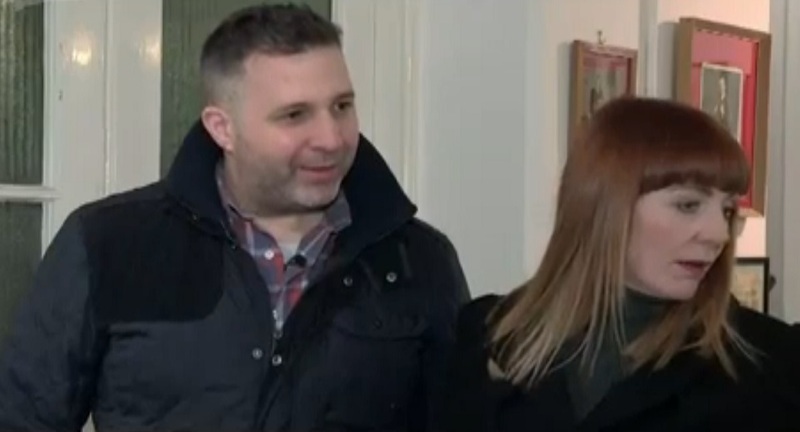 As Glen and Yvette are talking, and Glen is pointing out all the newspaper cuttings on the wall talking about hauntings at the location etc, Stuart off camera makes a noise. Which in turn gives Glen the perfect opportunity to point out that a simple knock suddenly becomes paranormal because of the fact they have all been primed to believe. Glen actually does a good job here to give a skeptical opinion and for that we here at BadPsychics Towers applaud him. Yvette realising she looks stupid, starts to talk about the previous times they have been here and talks about footage they have gotten which SCIENTISTS could not explain! Yes Yvette said that. Please Yvette share the names of these credible, experienced scientists that could not explain your footage of ghosts, cause I for sure must have missed that peer reviewed article. And suddenly Glens face shifts from smirking to a look of utter contempt towards Yvette. 15 Minutes in and they haven't even put the green filters on the cameras and start the investigation yet! I am guessing they are struggling for footage in the edit room since they have had to fill 15 minutes with talking and smirking. Quick stop with Eammon who has recording some background noise, and filtered and edited it to hell until it vaguely sounds interesting. The funny thing is one voice he plays is blatantly just Yvette after its been stretched and filtered, I think she realises straight away as doesn't get at all excited and quickly asks after another soundwave which sounds like nothing. Glen is sent off upstairs on his own and gets quick lost, and then starts talking to himself. I think he is going mad. That can happen if you over smirk. HANG ON WAIT!! WHAT THE HELL!! Yes it is Leah Walton! She is back! And in a lovely coat too! Finally Glen stops smirking, as he starts to hear noises upstairs on his own! 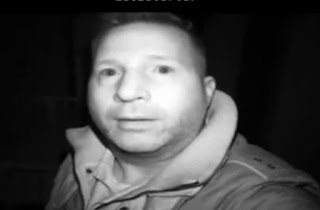 He then does something unheard of on Most Haunted, he investigates and realises the noise is from a flag poll outside. Well done Glen. Back with Scooby and the gang, and they are hearing noises as usual, of course always off camera. Desperate for interesting footage, Yvette narrates that for the first time ever they will show a "Vidgual" in its entirety! I can hear you all getting excited just reading that! So Stuart is off on his "own" if you believe that. And is gonna wander about for a bit. And within 20 seconds we hear a thud. 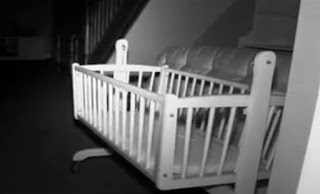 And as if by magic when he turns around a wooden cot is swinging, of course no camera was left to film the room, and we are supposed to believe that it was the ghosts who did it! You can almost imagine Karl in the pre-show meeting talking about this scene and how great it will look on camera. It is sad that they think so lowly of their fans that they try such nonsense, Especially having Stuart involved who we know fakes things every week. Stuart then finds a convenient Tennis Ball, and decides to throw it and ask the ghost children to roll the ball back, he rolls it and nothing happens. So goes into another room and starts talking to camera and the ghosts. 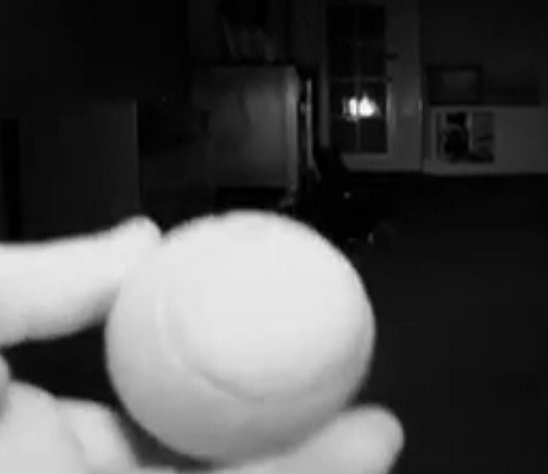 And then in one of the single most ridiculous moments in Most Haunted history, he goes back into the room, careful not to film the floor where the tennis ball was, claims he can hear footsteps and then the tennis ball is miraculously rolling down from upstairs. Stuart does his best acting here, but seriously even the most deluded super fan ain't gonna fall for this utter and complete crap. Seriously I have seen some crap on this show, but this takes the biscuit. Stuart goes up the stairs and sees a closed door. He comes back down and hears more footsteps, probably from Karl who is running about. Some more bangs, and so on. Then the tennis ball re-appears on the floor. Then Stuarts camera suddenly goes dead, and Yvette in narration tells us that despite his camera having a full battery is just went dead. I am sure Karl honestly thinks this whole ridiculous scene will get the fans talking, but trust me people will be rolling their eyes and turning off in their droves. Most Haunted just jumped the shark people! Stuart rejoins the gang, and Karl heads upstairs to where Stuart was. We then get Karl throw the tennis ball and ask for it to be returned, and of course on camera nothing happens, he then hears a noise, so he runs down the hall to the piano I mentioned earlier. He runs about checking cupboards as if to further cement he is the only person there. Now if they had a simple camera left to film the area we could see this! The acting is so bad that you cant help but laugh. We then get Karl film himself with the piano in the background, which then makes a noise perfectly on cue! They really have gone all out on this episode with the fakery, some classic nonsense that NO ONE will fall for. Back with the gang, and suddenly a pair of pliers drop on the floor between them, and guess who its right by? Yep you guessed it Stuart! It's almost as if he had them in his pocket waited till everyone's attention was elsewhere and then he dropped them. The episode is really starting to get silly now. Stuart claims that the pliers "went into his back" then I think it was Glen, points out that Stuart had his back to the wall! Whoops, got caught out there Stuart! lol. And even Yvette doesn't look too impressed. 39 Minutes in and this is already the dumbest episode ever. Back to Karl and the piano is making noises again. Karl who is too dumb doesn't even check the piano for gimmicks, or if there is a rat inside the piano, he just films himself saying how scared he is and that it definitely is not human! Keep in mind they filmed this episode early on, yet left it for the final of the series, this is because they probably had to edit out a lot of mistakes, and people getting caught doing things and on camera. Glen has clearly been edited out of proceedings since the silly-ness started, as I am assuming he kept pointing out how ridiculous it was. Stuart then throws something at Leah which makes her scream. And then tries to claim it was a ghost. Karl still on his own upstairs has a bit of an anxiety attack, yet still manages to keep filming himself, which is funny. The camera goes dead, and then when it comes back on Karl claims he passed out! And with that Yvette says they are ending the investigation, and we get some quick highlights of all the ridiculous fakery that has taken place, the main one being Stuarts terrible acting. Truly one of the most stupid, over the top, ridiculous episodes ever, whereby it was so over the top and obvious, that it actually spoils thing. Oh well, glad the series is over now. I used to love this show, it was supposed to be serious investigations into the paranormal, but what is has become isn't that. They fired Derek for being a fake, but what about the other psychics? At least Derek is watchable. We then hear another bang, they run off and find a block of wood! (or Yvettes personality if you will) That has got to hurt. Thank you muchly for reading my review. 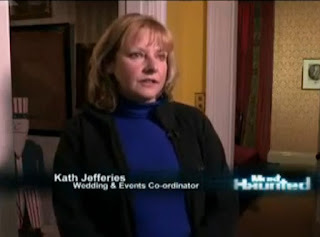 Can I ask you, would you agree that this episode was the most faked episode in the history of MH, and that it actually harms your business that they so blatantly faked everything that they claimed was paranormal? Also your "lies", perhaps I was a bit harsh there, so if you say you were not lying, I will take that at face value, and happily apologise for suggesting you were lying. Instead I would say that a lack of education and basic knowledge of such things meant that you were left to give paranormal meanings to 100% easily explainable phenomena, and that your delusions were based on that lack of understanding and general ignorance. I think that is better, in other words, you didn't lie, you just not that bright. That is fair I would say. erm. Hate to tell you this, but it was NEVER EVER a serious investigation into the paranormal, the whole show was based on the spoof show on the BBC called Ghost Watch. Even OFCOM stated officially as a fact that MH was NOT a serious investigation and just a spoof. Also they NEVER EVER fired Derek Acorah for being a fake, they KNEW from day one he was a fake. Derek Acorahs contract was up after season 6, and he had decided to leave as Living had offered him his own show (Ghost Towns). Because Yvette was jealous of Dereks popularity (remember, MH was supposed to be a launch pad for her to get back on TV), they decided to get evidence that he was faking stuff, they "leaked" it to me and BadPsychics, and then waited till the MHL and on the morning repeated the stuff to the Mirror. For the record LivingTV were furious with ANTIX for doing this, and had a meeting whereby they told ANTIX that not only would the MHL show be cancelled if Derek decided not to appear, but that MH would be dead. 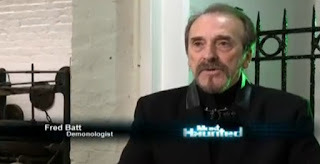 Luckily for ANTIX, Derek decided to be the bigger man and worked the live show, and SAVED Most Haunted, and ANTIX for that matter, when really he could have let them drown. I like Derek, he seems quite a good guy. I loved Ghost Watch. Well Yvette gave an interview saying she was shocked Acorah was exposed as a fraud, which I read. But then he gets a new TV show. I did wonder. I assume you mean Ghost Towns, I liked that show too, although Paranormal Egypt, if watched from a position that it is also a fully aware spoof, it was one of the funniest and entertaining shows ever! Yvette knew from day one what Derek was about, which is why they hired him in the first place. Did you know that Yvette has single handedly been behind trying to fire everyone who became more popular than her. She wanted Derek gone after series 2, but he had become too popular, and LivingTV really pushed them to keep him, and only "allowed" him to leave when they had his own show for him, which is why ANTIX tried to stitch him up on the way out. Why do they not have any still camera's set up, it would validate the incident and not have everyone watching thinking, fake. The show is faked. And they do have still cameras, but those cameras just show the stunts being set up etc.